Beitou has three vegetarian restaurants of note and a small but welcoming traditional noodle stall. For a fine meal right amongst the sights and smells of Beitou, head to the fusion restaurant 'SU', and expect to pay about 500NT for a delicious and filling set meal. For a simple but delicious Buddhist set meal walk up the hill to the Lotus Vegetarian Restaurant (150-200NT). It's well worth the 1km walk (or stop on your way back) to visit Yummy Vegan House, for a cheap and cheerful but very delicious Taiwanese meal, with dessert, all guaranteed vegan, with dishes starting at around 100NT. A simple meal at Hiroshima Xiang goes for as little as 50NT. Su (法式養生蔬食館) is most luxurious and convenient vegetarian restaurant in Beitou, located just across the road from the Hotspring Park, nestled in amongst the hot spring hotels. It boasts itself as a French restaurant, but in reality it's more of a fusion of Taiwanese flavours with a few exotic dishes, particularly pasta. Set meals are around 500NT, and include a drink, entree, main and dessert. Staff are knowledable about which dishes contain dairy products and happy to check specifics when asked. If this doesn't seem too much for a meal then it's a pleasant place to unwind from your day exploring Beitou, but that money would go further at a restaurant like Sophie's Garden. It's best not to arrive too close to closing time. Su means vegetable in Chinese, and is commonly used to denote a vegetarian restaurant (as an alternative to the traditional 素, also pronounced 'su'). This new sister restaurant to the older Yummy Vegan House (see below) is by far the best vegetarian option in Beitou. It serves a range of vegan fusion cuisine, at good prices for such quality, healthy food, right in the heart of Beitou, just opposite XinBeitou Station. This is my favourite restaurant north of Taipei, and one of my favourites in Taiwan. If you have just one meal in Beitou, have it here. From Xinbeitou Station, take the only exit and cross the road. Veer to the left through the triangular courtyard filled with Youbikes (head towards about ten o’clock after crossing the road), and the restaurant is across the road on the far. Yummy Vegan House is the more traditional of these two 'Yummy' sister restaurants, and is aimed more at local Taiwanese than tourists. It offers simple, delicious Taiwanese favourites for around 100NT each, including desserts, and a few simple international favourites, such as pita pockets (subject to seasonal variations). It has a wonderful vibe for such a small eatery. 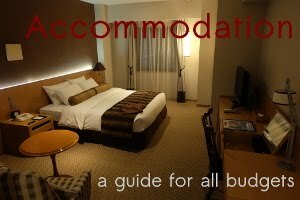 While it's not quite as convenient to reach from Beitou's main attractions as the other two restaurants, this is the least expensive of the two, and also most convenient if passing along the red Tamsui line and not going into the centre of Beitou, for example for when coming back to Taipei from Tamsui. Yummy Vegan House is closest to Qiyan Station, but is walkable from Xinbeitou Station (1.1km), Beitou Station (600m) and Qiyan Station (400m).11:30AM - 8:00PM daily. 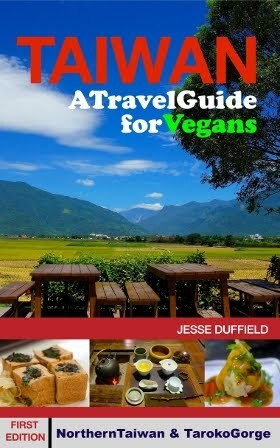 Are you a vegetarian or vegan traveller in Taiwan? you may be interested in my blog, and especially my travel guide to Taiwan. Also, here is my regularly-updated summary of the best vegan restaurants in Taipei.